Hwy 172, West to South Point, North to Parkwood, West to Muirwood, South to Shelter Creek, Left to home. Sellers personal property, washer and dryer, refrigerator in the basement, hallway mirror, office furniture. Range, refrigerator, dishwasher, microwave, garage remotes, freezer, curtains & blinds, bathroom mirrors, T.V. Mount in the office. Hello, I’m interested in 2943 SHELTER CREEK COURT and would like to take a look around. 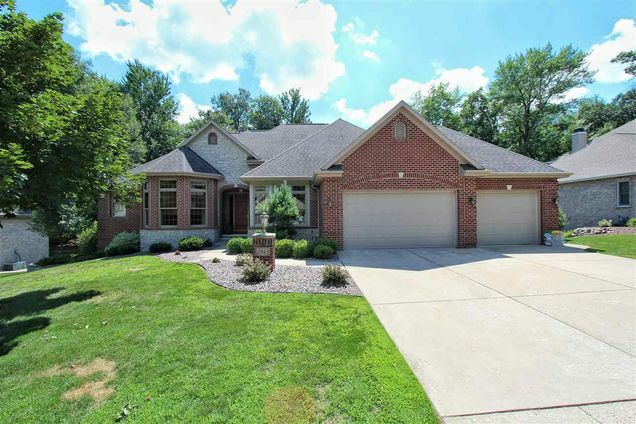 The details on 2943 SHELTER CREEK COURT: This house located in Green Bay, WI 54313 is currently for sale for $588,000. 2943 SHELTER CREEK COURT is a 4,073 square foot house with 4 beds and 3.5 baths that has been on Estately for 276 days. This house is in the attendance area of King Elementary School, Lombardi Middle School, Southwest High School, and Aldo Leopold Community School K 8.